We started this ‘cuvée’ (I do hate this formula!) in 2006. We didn’t know how to call a blend of two vineyards from different villages, but as both were located on calcareous soil types, we named the cask ‘Calcaire’! In 2007, we decided to continue with this wine, but this time, it only comes from one vineyard: young vines planted between 1988 and 1992 on the Clos Windsbuhl in Hunawihr. 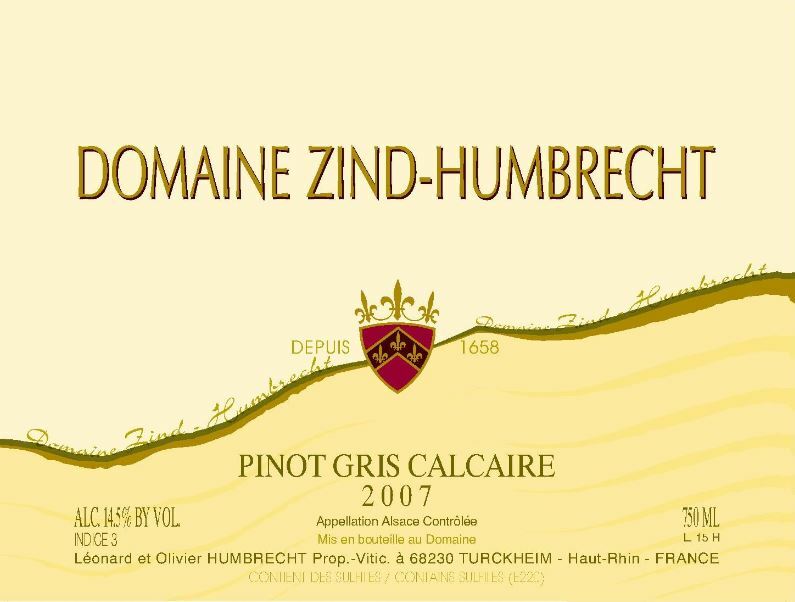 Only the old vines are used to produce the Pinot Gris Clos Windsbuhl. The grapes were harvested very ripe, with a significant presence of noble rot. The fermentation was medium fast (3 months), keeping some sweetness in the wine. 19 years vines do produce very interesting wines, but often cannot compare with much older ones, even if harvested with the same ripeness. 12/2008: this wine doesn’t betray its origin. The nose is already fully open, showing lots of honey flavours, citrus fruit, melon, apricots… The high ripeness of the grapes and presence of noble rot bring a small extravagant character, which is firmly controlled on the palate by the textbook acidity of the Windsbuhl. The finish is long, with a nice compromise between some sweetness and great structure.